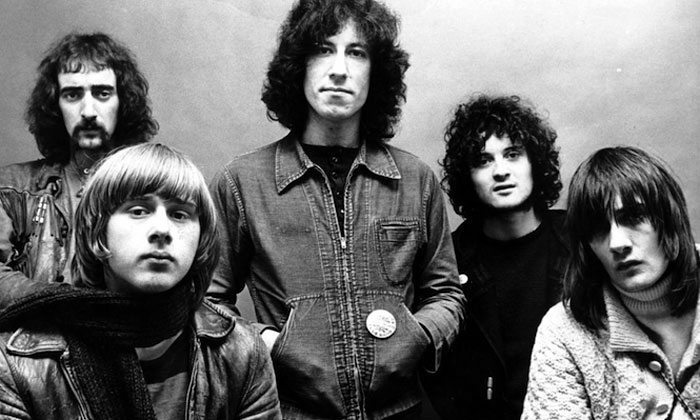 « Man of the World » is a song recorded by Fleetwood Mac in 1969, and composed by vocalist and lead guitarist Peter Green. It first appeared as a Fleetwood Mac single in various countries in 1969, subsequently appearing on the Greatest Hits album in 1971. It later featured on the 1992 boxed set 25 Years – The Chain, and on the 2002 compilation albums The Very Best of Fleetwood Mac and The Best of Peter Green’s Fleetwood Mac. A slightly different version of the song was included on the 1998 compilation The Vaudeville Years. « Man of the World » is a song about a man who has everything he wants, except the companion he craves. It is in the key of D major, and ends on a D major sixth chord. The single’s peak position in the UK Charts was No. 2 on 7 June 1969, spending a total of 14 weeks on the chart. It entered the Dutch Top 40 on 26 April 1969 and peaked at No. 12. It also reached the top five in Norway and Ireland. It was not released in the USA until 1976, when DJM records released it as a single, with different B-sides. It has been also re-released in many countries as a ‘Golden Oldies’ single.